3. 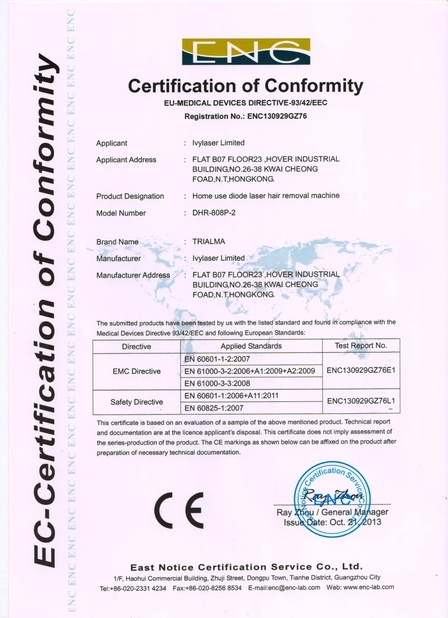 Different spot size for your selection(11*11mm / 10*17mm / 20*30mm). 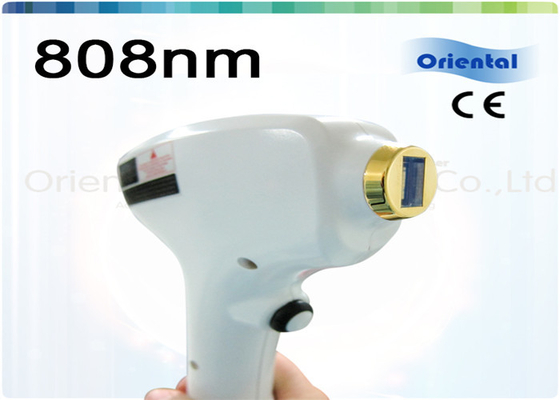 Skin laser machine 808nm diode laser hair removal technology is based on the selective dynamics of light and heat. The laser goes through the skin surface to reach the root of hair follicles, light can be absorbed and converted into heat damaged hair follicle tissue, so as to make hair lose regeneration capacity without injuring surrounding tissue. 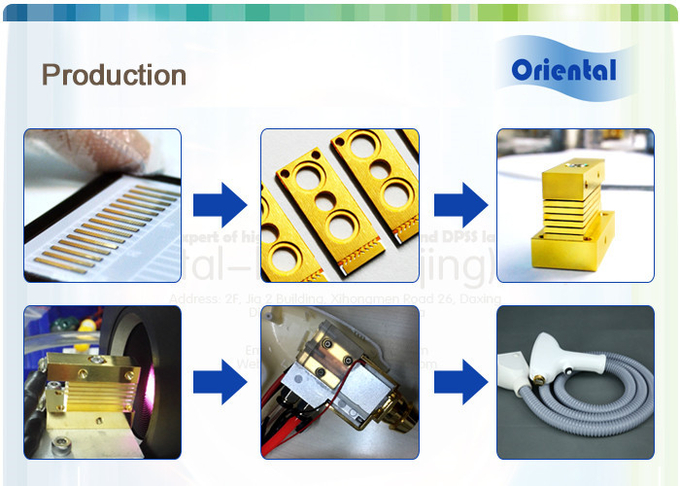 Oriental-laser focus on diode laser mounting more than 15 years. 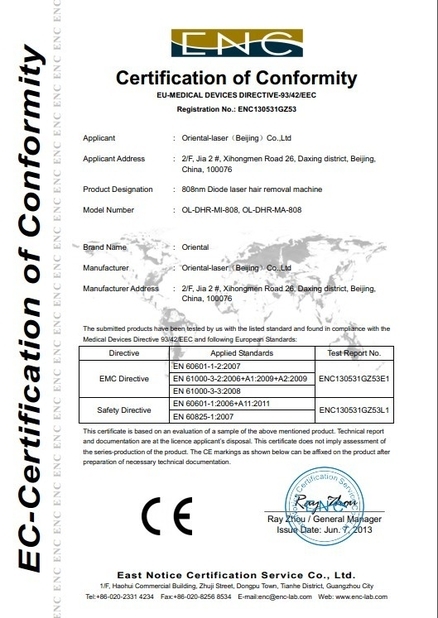 All our diode laser bars are imported from Germany Jenoptik which is very famous supplier in this field with reliable quality. 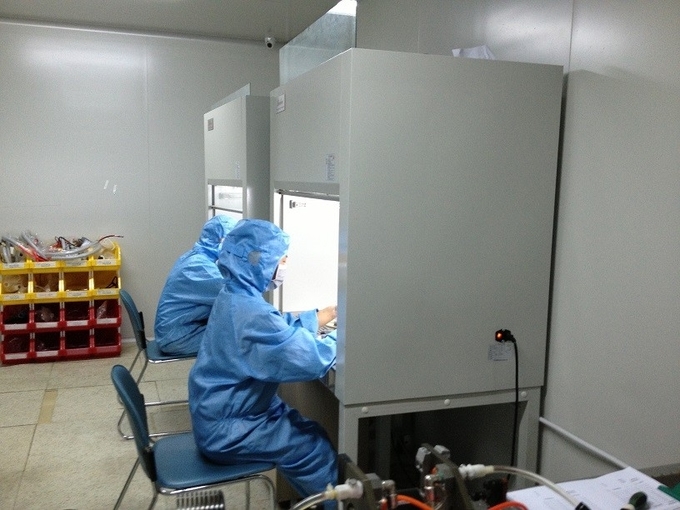 Equipped with cleaning lab and experienced technicians, Oriental-laser win a good reputation in this field. 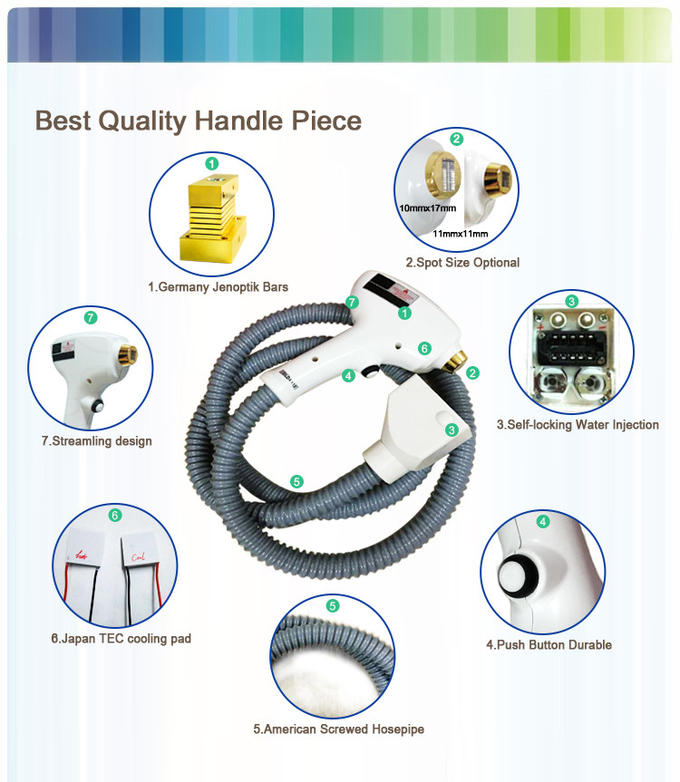 We will offer more technic for protecting handle when you install your own machine with our handle. We also attend the beauty machine exhibitions in Italy, Dubai, Thiland, Russia, etc. every year. 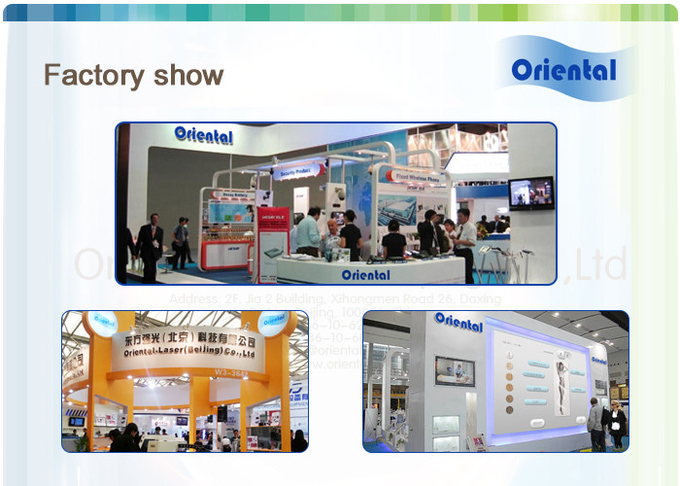 Welcome to visit our booth during the exhibitions.